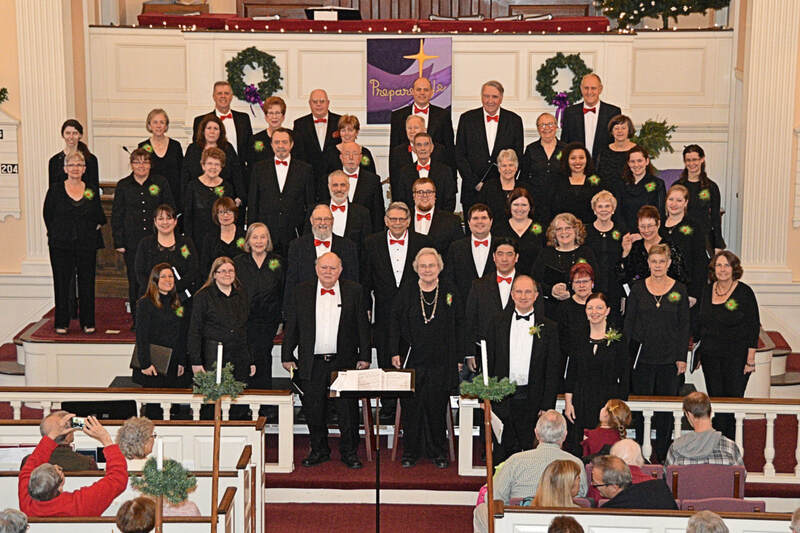 The Mishawum Choral Society has been active since 1963, when some 20 to 30 singers from area choirs joined together to establish a concert chorus under the leadership of the late Rodney Mansfield. Our first concert was in 1964. We have been singing together and enjoying choral music ever since. Our members are drawn from many cities and towns in Middlesex and Essex counties. We meet to enjoy the art of choral music, and to provide enjoyment for the singers and for their audiences alike Our repertoire is broad and in any concert, you are apt to hear a diverse mixture of classical, pops, folk, jazz, and Broadway. Under our new director Brian Gilbertie and our gifted accompanist, Sarah Lafontaine, we provide choral music that is fun and challenging, always entertaining, and superbly presented by a mature, well balanced ensemble that really enjoys singing together. We always leave our audiences wanting more! The Society is a 501(c)3 non-profit organization. All expenses of the Mishawum Choral Society are met by member dues, by concert ticket sales, and by the patronage of sponsors.